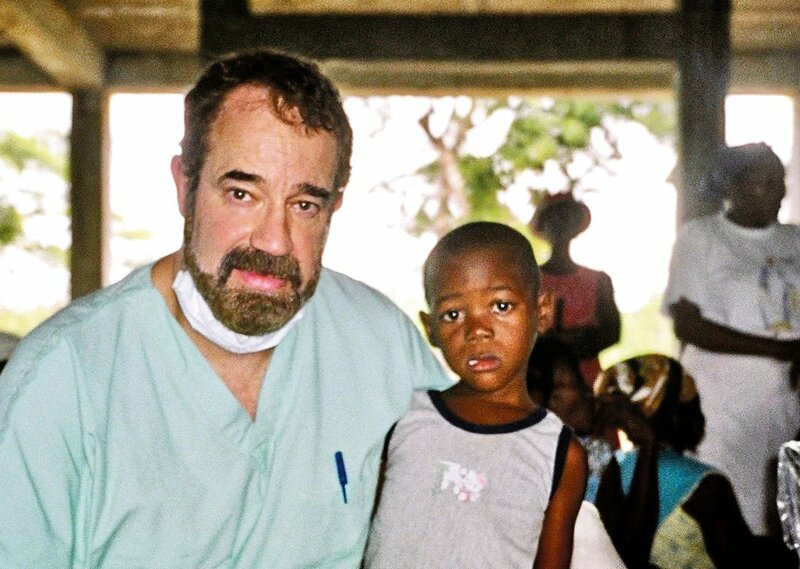 ST. LOUIS — Orthodontist Dr. E. David Engst received the Humanitarian Award of the American Association of Orthodontists on May 6 at the group’s annual session in Washington, D.C. The award recognizes significant contributions to improve the quality of human life extending beyond the usual scope of private orthodontic practice. Engst practiced orthodontics for many years in ­Bellingham, Lynden and Stanwood. In 2003 he sold his orthodontic practices, deciding to redirect his career to volunteer oral surgery services. To refresh his surgical skills, he returned to the University of Washington/Harborview Hospital as a fellow in oral and maxillofacial surgery. Over the past 15 years, Engst has provided free oral surgery clinics in Honduras, Nicaragua, Mexico, the Dominican Republic, Cambodia and the Philippines. During the first six years, Engst served in many areas in Latin America. The area of La Moskitia in Honduras, for example, is a small version of the Amazon jungle. There he visited remote river communities that had never seen a dentist. Most children there had malaria and all had intestinal parasites. The Honduran Navy escorted Engst in motorized canoes. The guards carried machine guns and grenade launchers because this area has no local police and is a major transfer point for drugs being shipped from Colombia to the United States. In Chiapas, Mexico, Engst treated the Zapatista rebels in an abandoned hospital. The rebels all wear masks in their constant conflict with the Mexican army. Honduran President Zalaya was deposed in a military coup in 2009. Amid burning tires and tanks and rioting in the streets, Engst evacuated himself from the capital the day of the abduction and moved his operation from Latin America to Asia. For the past eight years, he has served six months per year in the Philippines. He has also taught at the new dental school in Phnom Penh, Cambodia. Engst also volunteers in the U.S., one instance being with the Seattle/King County Clinic at KeyArena. Engst received his dental degree from the University of Washington as well as his orthodontic certificate and master’s degree from the UW Graduate Orthodontic Program. He is a member of many professional organizations including the AAO, the Pacific Coast Society of Orthodontists, the Washington State Society of Orthodontists, the American Dental Association, the Washington State Dental Association and the Mount Baker District Dental Society.